Used car dealership on the south strand available. Seller had the property rezoned and it is the only parcel in the area allowed as a car lot. The free standing 1800 s.f. building has a showroom with computers desks, 2 garage bays and a large fenced in area for storage of cars. Seller has another business in Georgia and trying to run both is hurting his Georgia business so something has to give. Since opening he is averaging 5 -10 car sales a month. He has just added U-Haul as another income stream. Located on the main hwy connecting the south strand to Myrtle Beach in a high growth, high income area. 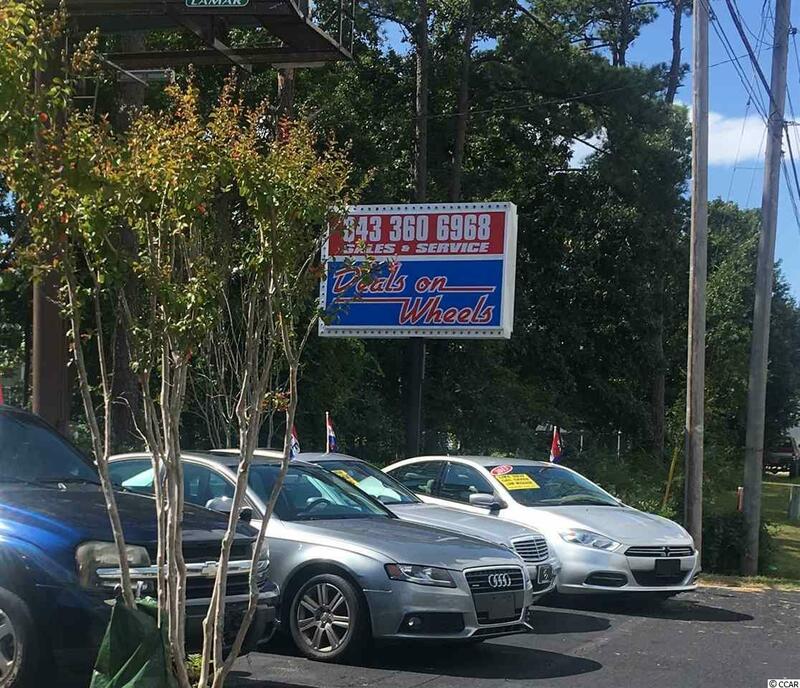 Here is a chance for a savvy operator to get a turn key used car business for a steal. Priced less than the cost of upfitting and opening the space. Take advantage of the sellers hard work to get a cash cow business at an excellent location.